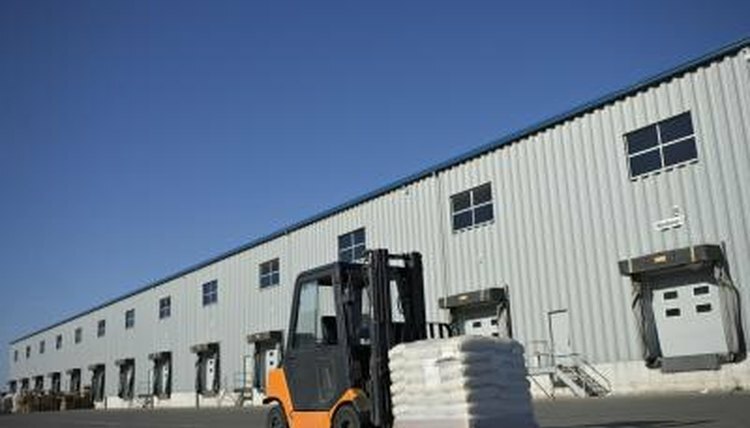 The forklift or industrial truck is a material handling device that lifts loads and moves the loads to another location. 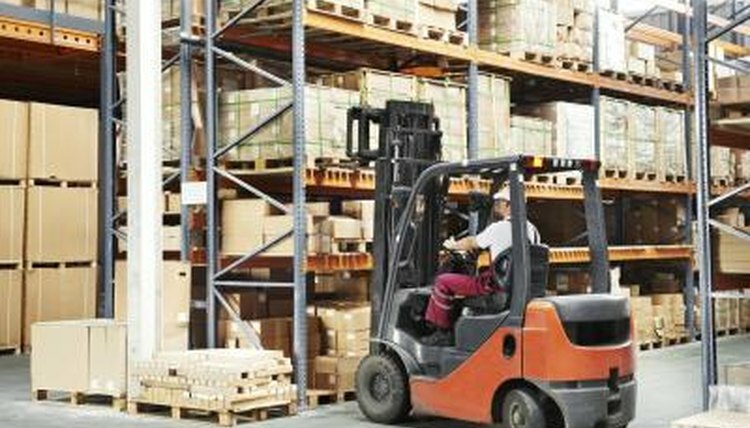 Most parts of a forklift are identified by their purpose and location. Each component on a forklift is designed to perform a specific job, such as moving the load vertically or moving the load horizontally. 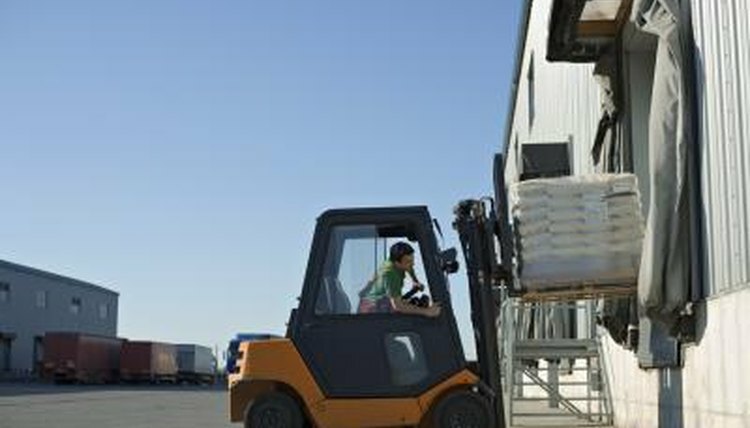 The mast of the forklift is easy to identify because it is the part of the industrial truck that lifts and lowers the load. A mast can come in four different types including simplex, duplex, triplex and quad. The different types lift the load to different heights. All the parts that lift the load are considered part of the mast. The mast, lift cylinder, lift chains, backrest, carriage and forks make up the front of the forklift, but one type of forklift has the lifting parts located on the side of the industrial truck. The parts of the forklift that supply the industrial truck with power are also easily identified. Forklifts come in four different power supplies. Gas, diesel, propane and electric or battery make up the different power supplies. The battery is located under the seat in the cab and is for indoor or outdoor use. Propane is mounted on the back of the industrial truck and is similar to a propane tank used on a gas grill, but larger and is utilized for indoor as well as outdoor use. Gas and diesel forklifts have a fuel tank located under the back of the industrial truck and have a gas cap located on the side. The gas and diesel forklifts are for outdoor use only. The cab of forklift is the center of the industrial truck and has all the controls. The truck allows the operator to stand or sit down during operation. 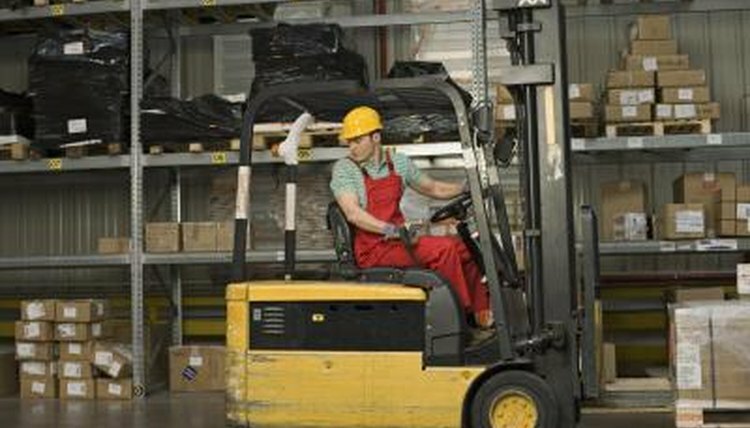 Industrial trucks operators usually drive from the sitting position because they are inside the forklift for long periods of time. Once the operator enters the cab he can easily access the controls, gauges and safety devices. The cab contains the steering wheel, gas pedal, brake, lifting and lowering controls, tilting controls and informational gauges. The frame of the industrial truck carries all the other parts of the forklift. The back of the forklift holds the counterweights which prevent the truck from tilting forward when loaded. The overhead guard surrounds the driver and has lights attached to the component. The undercarriage holds the driveshaft, axles and wheels of the industrial truck. The frame of the forklift holds the largest components of the industrial truck. Almost every part on a forklift has a model number located somewhere on the component in order to identify the type of industrial truck and the components that go with that type of forklift. The label is permanently affixed to the parts so the parts can be identified for replacement. Some parts have the model numbers stamped into the main frame of the part. Along with the model number, a part number is located on each component of the forklift. When ordering replacement parts, the owner must provide a part number and model number of the component. Without the part number and model number the manufacturer cannot identify the correct component. Most forklifts also have a main label located inside the cab which tells the model number, serial number and type of forklift allowing the manufacturer to find a parts manual for the specific forklift. 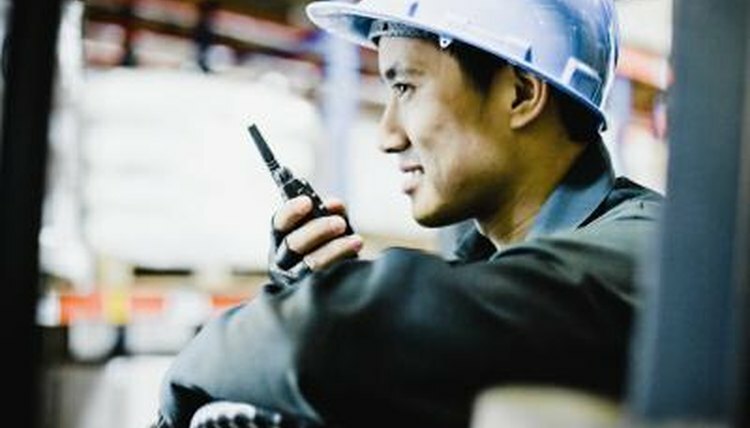 Every new forklift comes with a manual that provides safety tips, user information and parts information. The manual has a diagram of the specific forklift and labels each component with a name and number. The back of the manual has a list of the parts identified by the number on the diagram which helps the maintenance department identify each part of the forklift. Brock, Mitchell. "How do I Identify Parts of a Forklift?" , https://careertrend.com/info-8348506-do-identify-parts-forklift.html. 05 July 2017.